Our best blades for a close cut. Zero overlap blades are great for ultra-close cuts. Precision ultra-fine teeth for smooth, no-snag feeding of short hair. Our blades are finely ground for exceptional performance. PowerDrive® Plus Heavy Duty Motor - Durable long lasting motor delivers exceptional power for no-snag cutting and runs 15% cooler (vs. standard Wahl® PowerDrive® Motor). Ben Phillips is the Master Barber at Wahl. He has worked for Wahl over 15 years and has been cutting hair for more than 27 years. 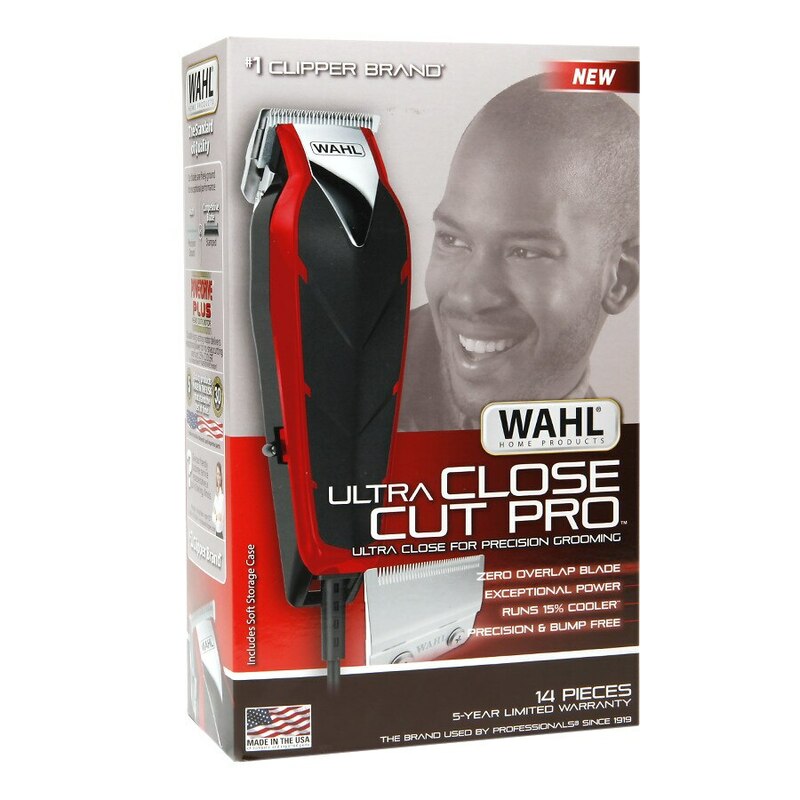 Ben recommends the Ultra Close Cut Pro™ for balding, ultra close cuts, outlining, and facial grooming. Product in package may not be exactly the same as photo due to continuous improvements to the product.